What do nine UMBC alumni with a passion for basketball, dance, and lacrosse, and fields from biology and biochemistry to information systems and political science have in common? They all chose to teach in Maryland public schools, and all returned to UMBC this May to speak at a special Celebration of Teaching event, launching a campus-wide initiative to increase recruitment and retention of teachers of color in Maryland public schools. Participating teachers included Shalonda Holt ’07, biological sciences, teaching certificate in education, 2016 Washington Post Teacher of the Year and 2016 Howard County Teacher of the Year; Corey Carter ’08, M16, biological sciences, ’10 M.A.T., education; Demetria McAndrew ’08, political science, ’16 M.A.T., government; Raven Harris ‘12, media and communications studies, ’14 M.A.T., early childhood; Emily Diaz ’16, M24, biochemistry and molecular biology, ’17 M.A.T., education; Jennifer Smith ’00, information systems management; Monique Rivera-Velez ’17, M.A.T, education; Josephine Kalema-Kasozi ’13, dance, teaching certificate in secondary math education; and Tea Harrison ’17, visual arts, teaching certificate in education. 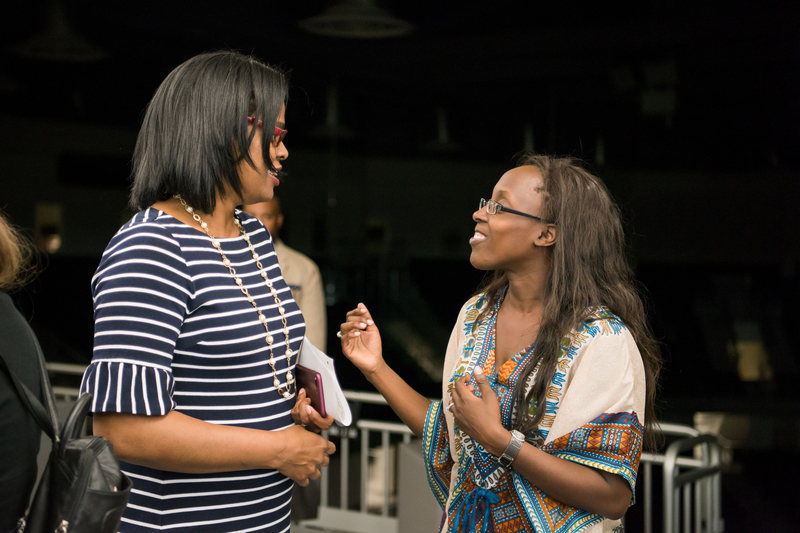 They spoke about their decisions to choose careers in education, to purposefully connect with and inspire students, including students of color. They also discussed research findings that students of color benefit from having teachers and mentors who reflect their identities, and how there is currently a gap in the proportion of teachers of color in comparison to the proportion of students of color in U.S. public schools. Jennifer Smith ’00, information systems management, shares her 17-year teaching experience in Baltimore City Public Schools. Carter speaks to prospective educators in front of panel (L to R) Santelises, Singer, Rous, and Hrabowski. 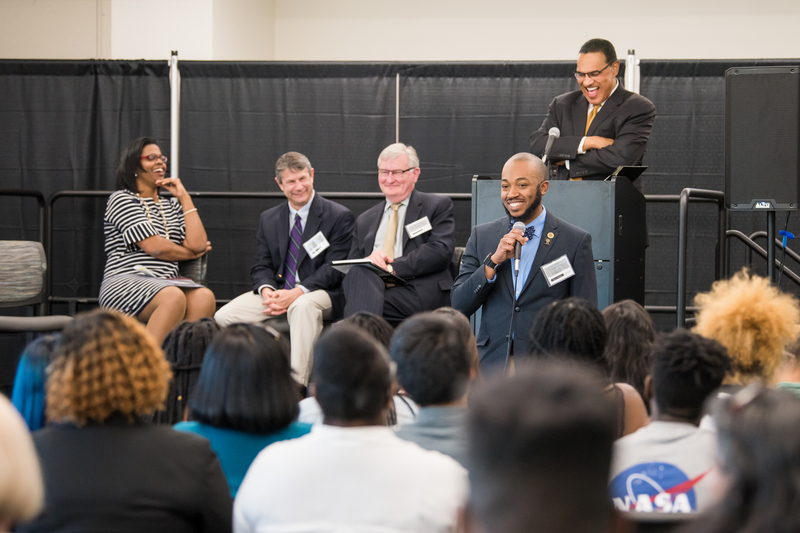 The event was hosted by Provost Philip Rous, President Freeman Hrabowski, and John Singer, associate professor and chair of education, with Sonja Santelises, Baltimore City Schools CEO, as the keynote speaker. “We want to prepare highly qualified leaders of color in public schools where there are few or no teachers of color through UMBC’s graduate and undergraduate teacher certification programs,” said Mavis Sanders, professor of education, during the event. Sanders is director of the new Center for Early Learning in Urban Communities, recently established through a $6 million gift from the George and Betsy Sherman Family Foundation. Sanders and President Hrabowski previously published “Increasing Racial Diversity in the Teacher Workforce: One University’s Approach,” in the National Education Association journal Thought and Action. According to their research, when students of color have teachers who share a similar background and identity, they see gains in attendance, achievement, and engagement. Teachers of color also tend to stay longer in high-needs schools, providing greater stability for students and their broader communities. 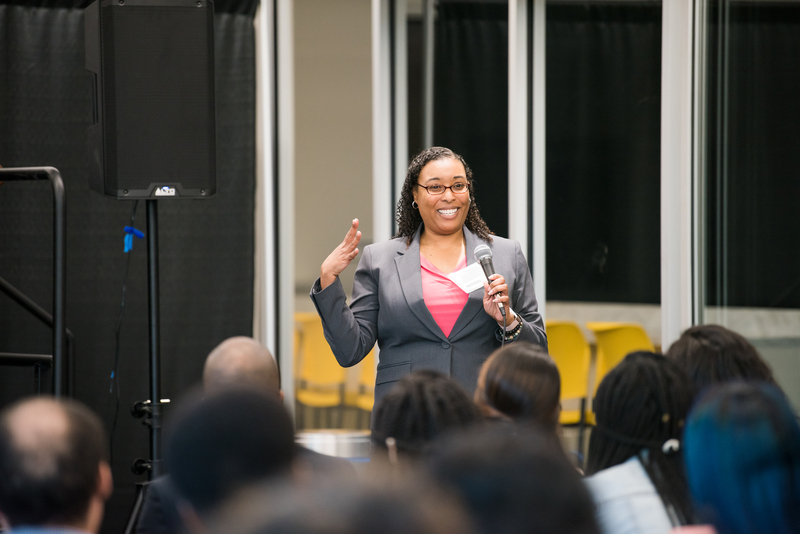 UMBC’s Sherman STEM Teacher Scholars program has been a leader in preparing future educators of color to teach in STEM fields and to stay in teaching careers. Event speakers Carter, Kalema-Kasozi, Diaz, and Rivera-Velez are all graduates of the program. 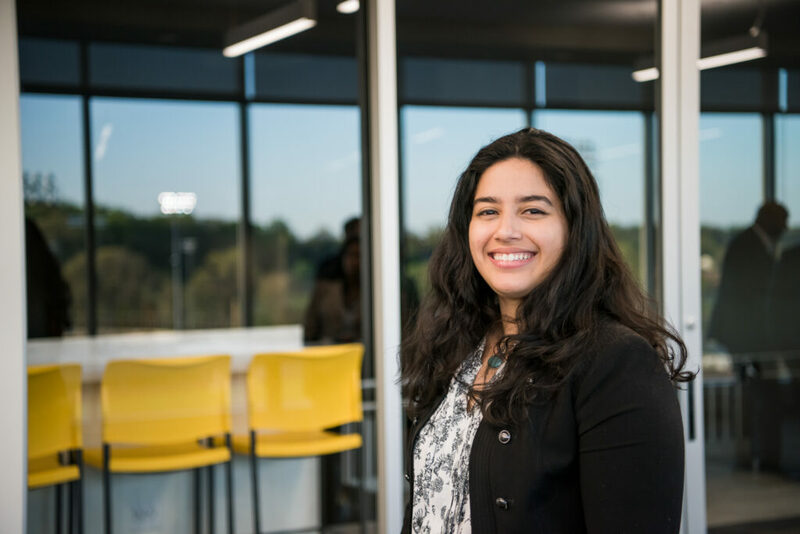 Rivera-Velez spoke at the Celebration of Teaching event about coming to UMBC specifically to follow her desire to pursue a teaching career after earning a B.S. in biology at the University of Puerto Rico-Mayaguez. She currently teaches biology at the International High School at Langley Park in Bladensburg, Maryland, and was recently selected as a 2018 Knowles Teaching Fellow. The Knowles Teacher Initiative was created by Janet H. and C. Harry Knowles in 1999 to cultivate and support exemplary science and mathematics high school teachers and develop the next generation of leaders in education. It provides new teachers with financial, professional development, and mentoring support over the course of five years. The UMBC department of education is continuously recruiting students from all disciplines for its Master of Arts in Teaching program. It is also offering a program for certified teachers to pursue a Masters of Arts in Education (MAE) degree with a concentration in STEM education, as well as an online Secondary Mathematics MAE. Banner image (L to R): Rehana Shafi, director of the Sherman STEM Teacher Scholars program. Monique Rivera-Velez, Corey Carter, Emily Diaz, Josephine Kalema-Kasozi, and Josh Michael. All photos by Marlayna Demond ’11 for UMBC. Video by Corey Jennings ’10 for UMBC.